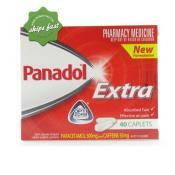 For 25% faster absorption, take Panadol Optizorb Tablet. It starts to break down in 7 minutes to help provide effective pain relief without upsetting the stomach. 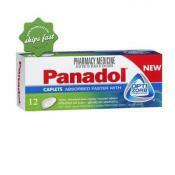 Panadol is a paracetamol based analgesic and provides fast, effective temporary relief of pain and discomfort associated with: headache, tension headache, period pain, cold and flu symptoms, migraine headache, muscular aches, arthritis/osteoarthritis, backache, and toothache. 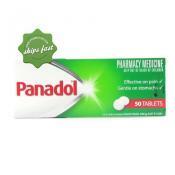 Panadol Tablets 50 can be used to give immediate temporary relief from pain and discomfort caused by headache, migraine, toothache, back ache, cold and flu, muscle aches, arthritis and period pain. 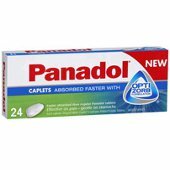 Panadol Mini Capsules 48 comes in smaller sized capsule for easier swallowing to help provide temporary relief from pain and discomfort. 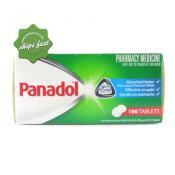 Absorbed twice as fast as regular Panadol tablets for fast pain relief. 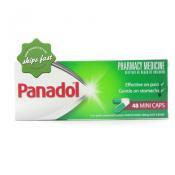 Kiss your headache goodbye with Panadol Rapid 40. This acts as a temporary relief of pain but works really fast and effective. It also relieves muscle aches, menstrual cramps, toothache, tension headache and migraine. 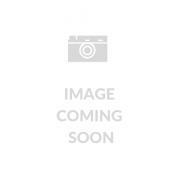 Lemon flavoured effervescent tablet for fast pain relief. 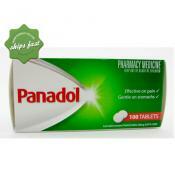 Panadol is a well-known product for the temporary relief of pain - it contains paracetamol which is also known for reducing fever. 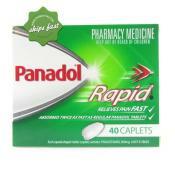 Panadol Rapid is now available in a slim and stylish, easy to carry 10 pack. A smart addition to your briefcase, handbag or sportsbag. 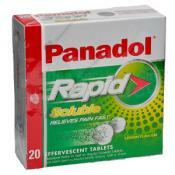 Rapid relief never looked so good.